Laserfiche—a leading global provider of enterprise content management (ECM) software—today announced the winners of the 2018 Laserfiche Run Smarter® Awards. 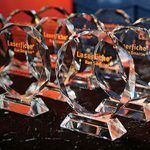 Laserfiche launched the awards program in 2005 to honor organizations that demonstrate excellence in innovation and drive industry-leading initiatives. This year, Laserfiche recognized organizations that have embraced the digital transformation journey to create future-ready workplaces. This year’s winners have deployed technology to achieve operational excellence, further distinguishing them as leaders in their respective industries. Nominations were collected from 22 countries worldwide based their solution’s organizational impact and exemplary use of Laserfiche technology. Laserfiche also recognized Angela Jordan, Building and Planning Department Head Secretary at Cowlitz County, Washington, with the Tom Wayman Leadership Award; and David Sison, Senior Vice President and CIO/CISO for Mitsui Sumitomo Marine Management (U.S.A.) Inc., with the Nien-Ling Wacker Visionary Award. The awards were presented during the Laserfiche Empower 2018 Conference in Long Beach, California. 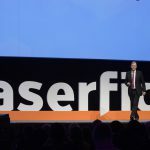 The list, along with descriptions of each winner’s initiative, is available on the Laserfiche Empower Conference website.